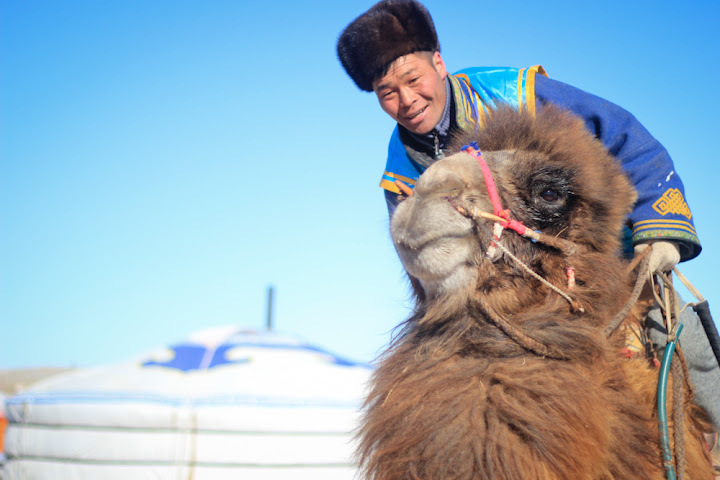 For the past ten years, camel herders have been meeting annually in the sleepy town of Sainshand to celebrate their animal of choice. 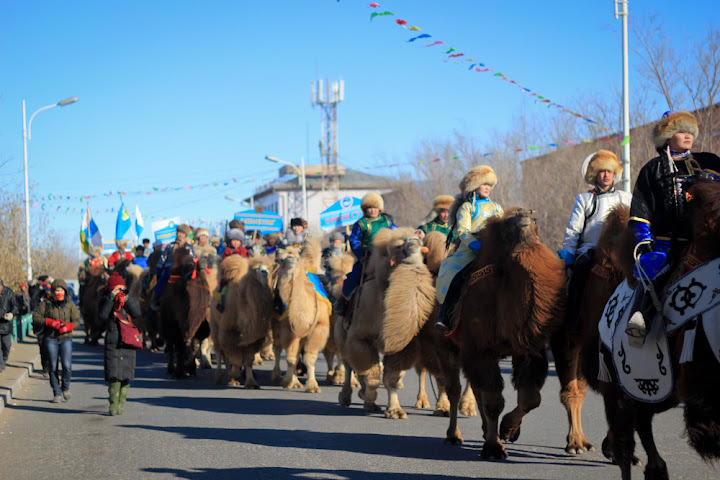 The Temenee Nadaam (Camel Festival) is held in provinces around southern Mongolia’s Gobi Desert, where camel herding is most popular. 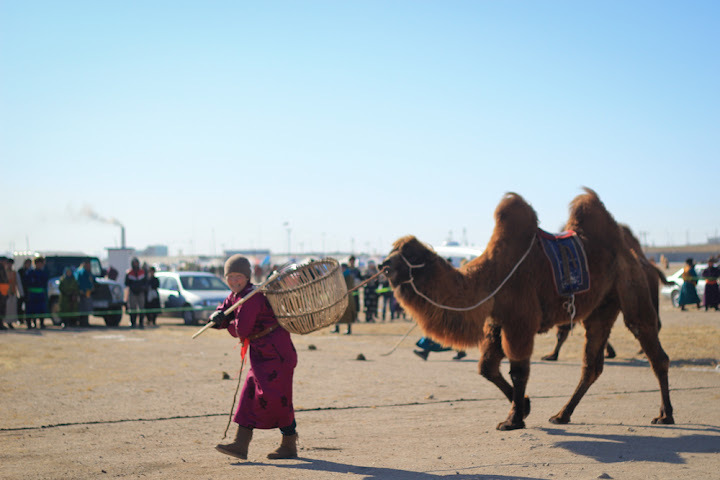 The festival began about a decade ago in an effort to bolster support for the unique Mongolian Bactrian camel (two humps, not one), and the camel herding lifestyle. 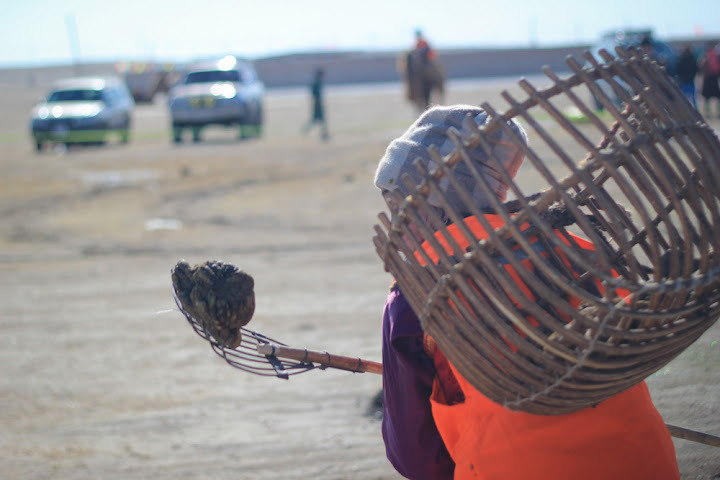 Herders from across the province brought their livestock to Sainshand to compete in a variety of games. 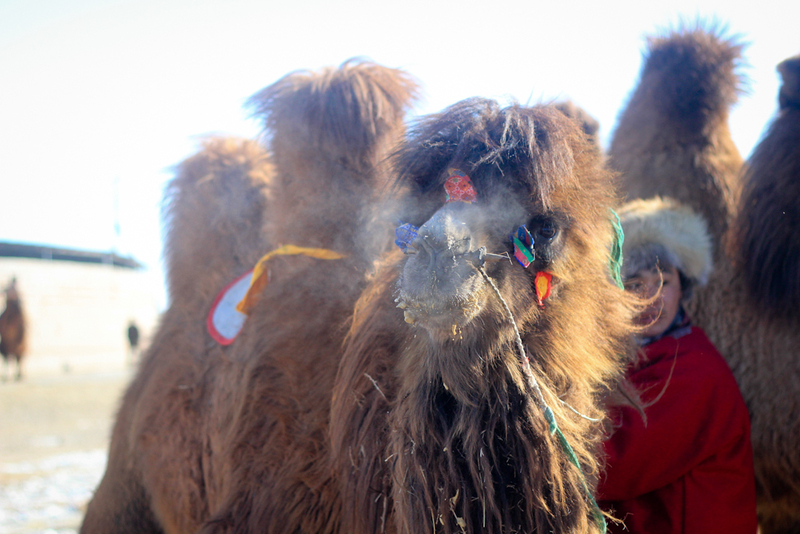 There were over 100 camels present, and about 400 people. Relay Race: My favorite event, involved Husband-Wife teams. The men first rode the camels around a series of posts, then dismounted, the women took the reins and led the camels through a field of dried dung, which they had to collect and put in their baskets, then the men remounted, rode the camels to an area where they had to throw three darts, and finally raced back to the starting line. Endless fun. 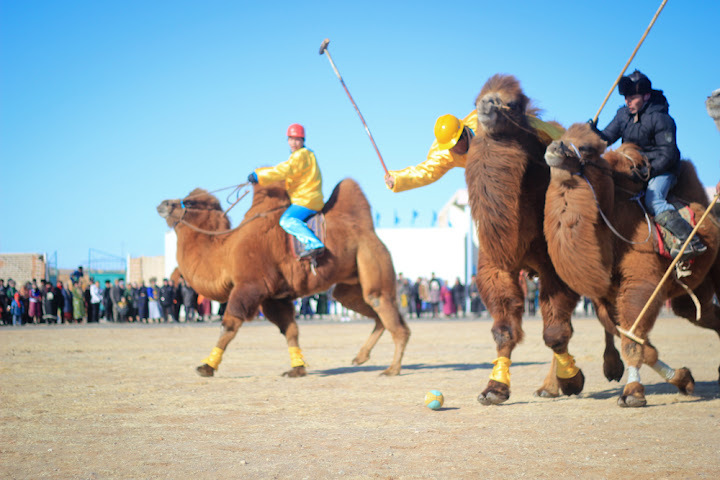 Camel Polo Tournament: this is exactly what it sounds like. 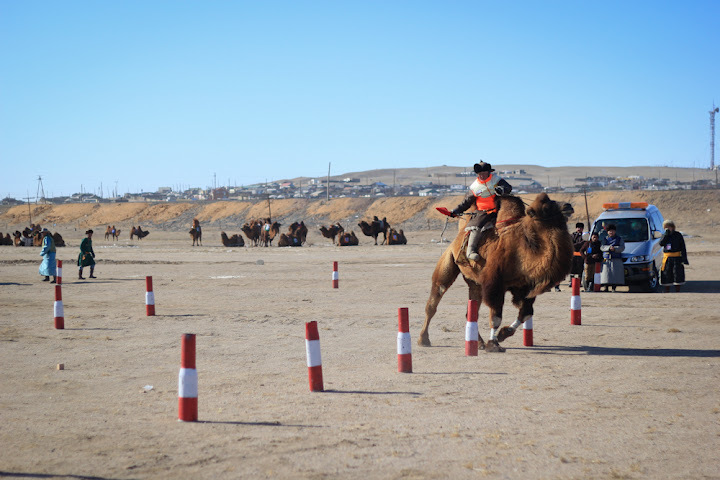 The main event was the Camel Polo Tournament. Each sum (county) entered a team in the competition to represent them. 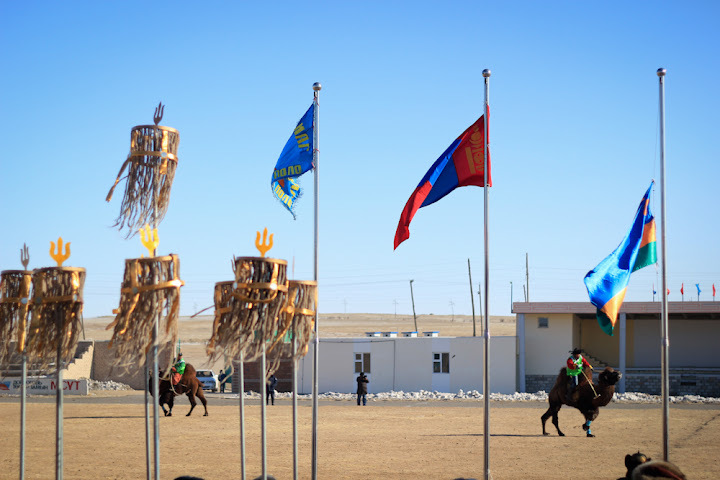 Thesums also each set up a ger with their flag out front for their festival participants. Anyone was welcome to come in and warm up with some hot milk tea or soup. While we sat in one particular ger, the county’s government official presented each polo team member with special medals, acknowledging their participation. It seemed like a big deal. Overall, the festival was a real joy. 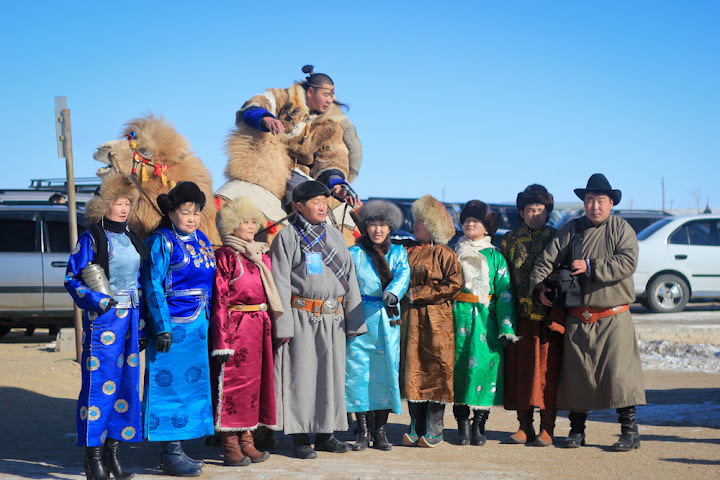 It was a bit cold (but then again, it is in Mongolia). I was able to try camel for the first (and hopefully only) time in my life. And everyone there was truly excited to be participating. It was an event that many people look forward to for months to come. It looks like total fun! Great images! So I’ve heard that camels are notoriously — well, pissy. So how do they do with the polo match? 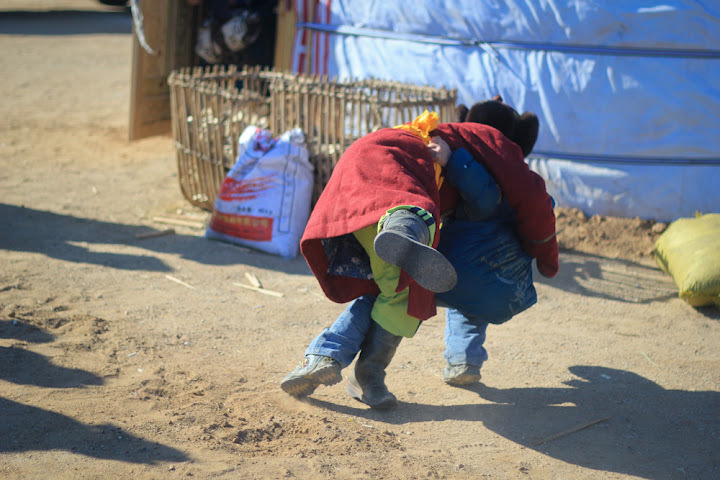 Are there camel tantrums thrown and lots of spitting? Fun photos … looks like quite the adventure! Well… they didn’t seem tortured by it, but they also didn’t seem to be having the time of their lives either. What a totally fascinating post. I love, love, love your photos. Congrats on Freshly Pressed, as well! Wow, what an event and great pictures! Great post and to share it with all of us here! 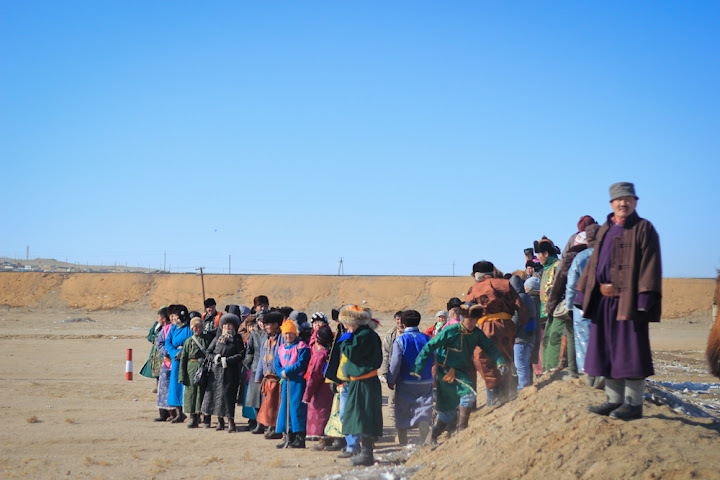 Happy blogging in Mongolia! This is so crazy and so cool! 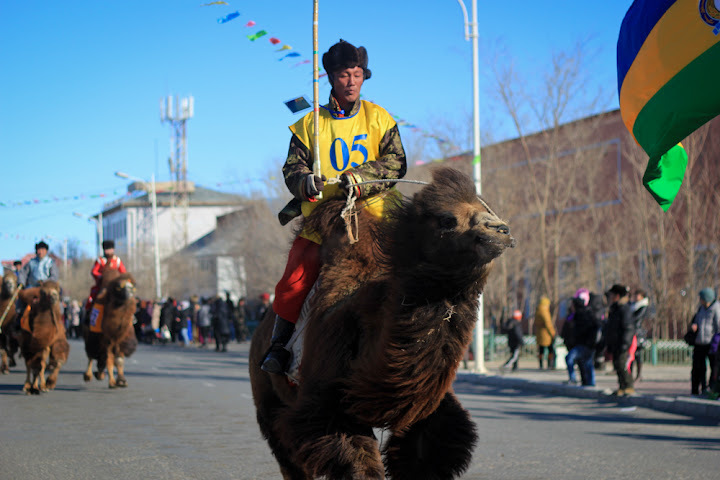 What an interesting blog, I’d love to attend the camel races. Looks like fun! I love the rock music on the video. 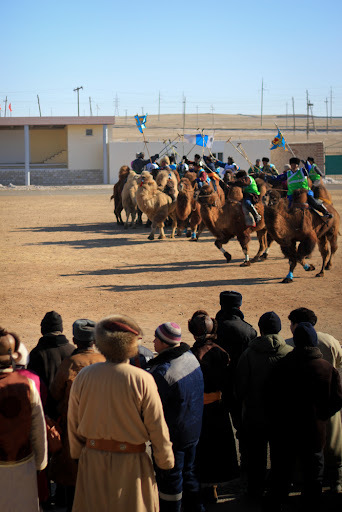 Polo with camels — I never thought of it but it looks like everybody had a great time! Congrats on being Freshly Pressed. Wow, great story and amazing images. I particularly like 6th one where they play polo. The guy in the background looks very.. unusual on the camel. 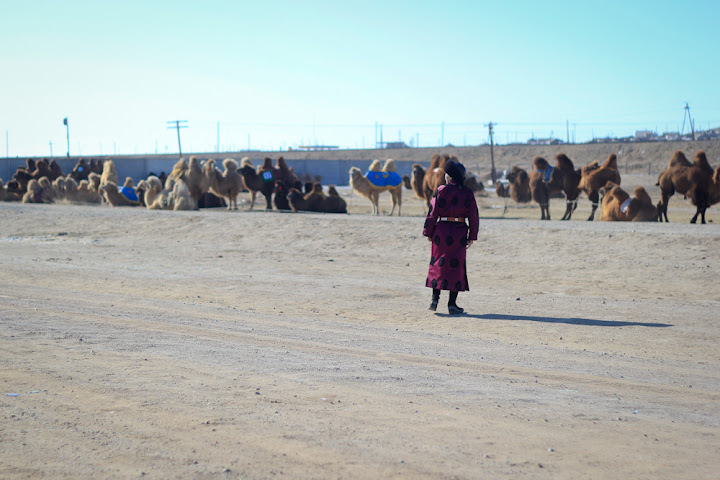 So that’s how life in the Gobi desert is like! Nice world, never seen. Wonderful people. The colors are amazing. I didn’t realize the camels hair (fur?) could get so long and luxurious. What do they use camel hair rope for? Is it used like any other rope? 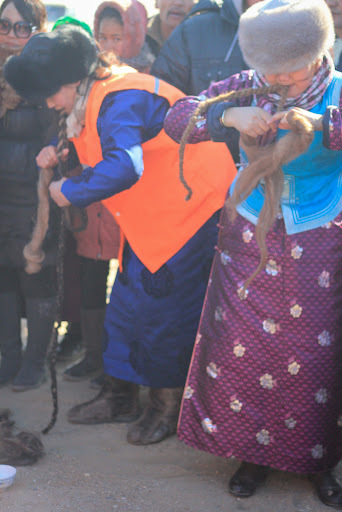 The rope is used for the camel reins. Have you seen “The Story of the Weeping Camel” I think the documentary/film is maybe from the same area? That is the same area where ‘Weeping Camel’ takes place – what a beautiful film! That looks like a fun time, those camels are amazing. I love camels! 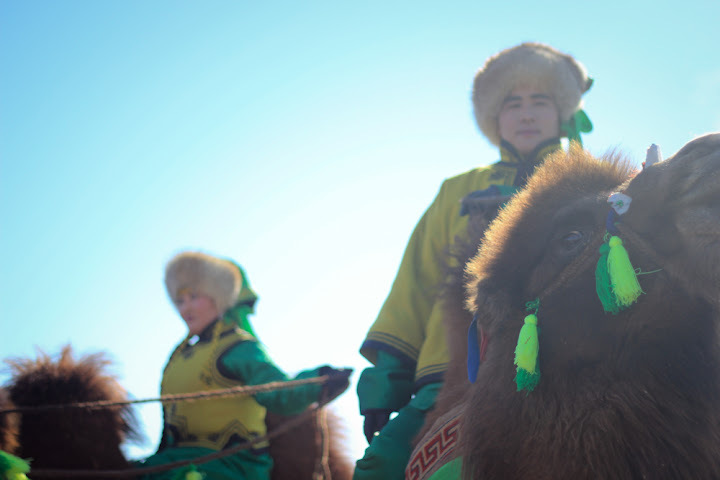 Especially the Bactrian breed. Thank you so much for this. I would totally go if I knew where the Gobi desert was. Amazing post! Great photos. Happy to know! Thank you for sharing your excellent work. Greetings from Italy. Loved seeing these photos! One doesn’t usually think of “fluffy” and “camels” in the same sentence. Very cool post. Very cool event and location. Totally lived vicariously through your photos! I agree that China has a long way to go to clean up the air in its cities. 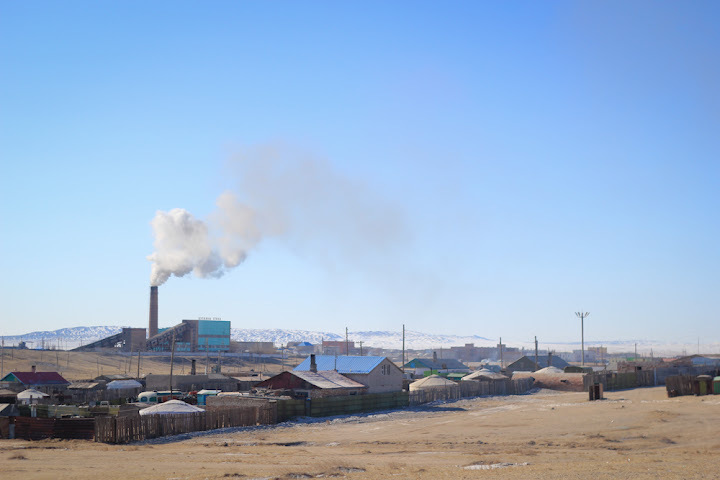 However, Mongolia has one of the most polluted cities in the world–even more than any city in China. 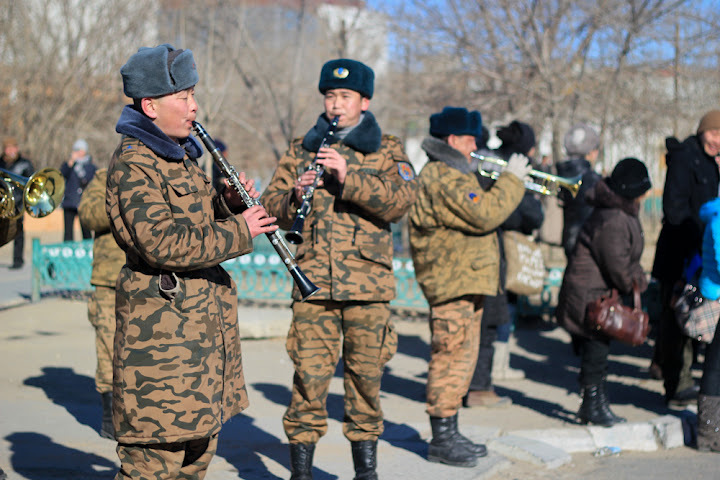 In 2011, according to the World Health Organization (WHO), Ulan Bator made the top ten list as number two. Although most of China’s cities have smog problems, not one Chinese city made the to ten list last year. Great to see. 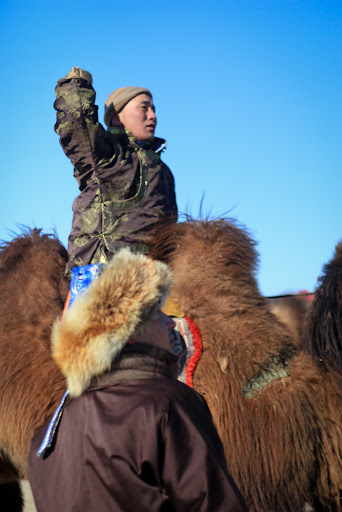 Thanks for sharing I would love to spend a long time in Mongolia. It seems to have a fascinating history and culture. 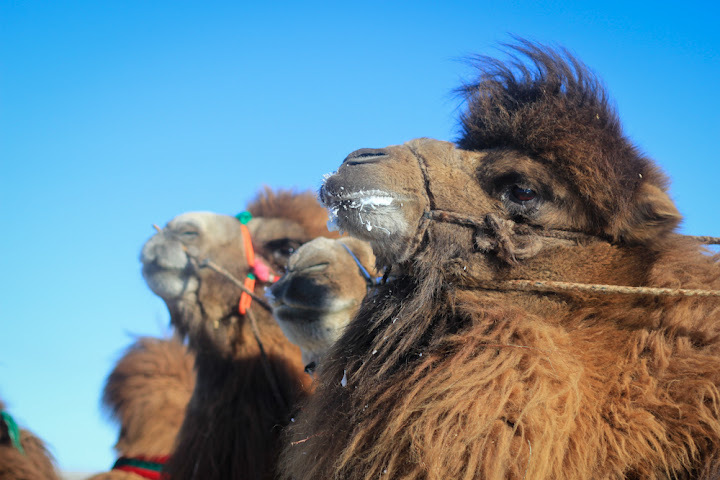 amazing photographs… and the camels, they are beautiful with those 2 full humps and they are quite large too. i’m sure you had lots of fun.. congrats on being FP. Awesome pics! Owen Lattimore would be proud. Wow. What an amazing experience. Thanks for sharing it with everyone! Great. I am sure this would be a fantastic tourist attraction where, perhaps, some tourist might participate for fun. What a lot of fun, This sounds like a great festival. Thank you for sharing such a wonderful series of photos. Nice clicks.. These pics shows that You have enjoyed alot..Thanks for sharing these pics. Great photos, great event! Must be fun to watch. 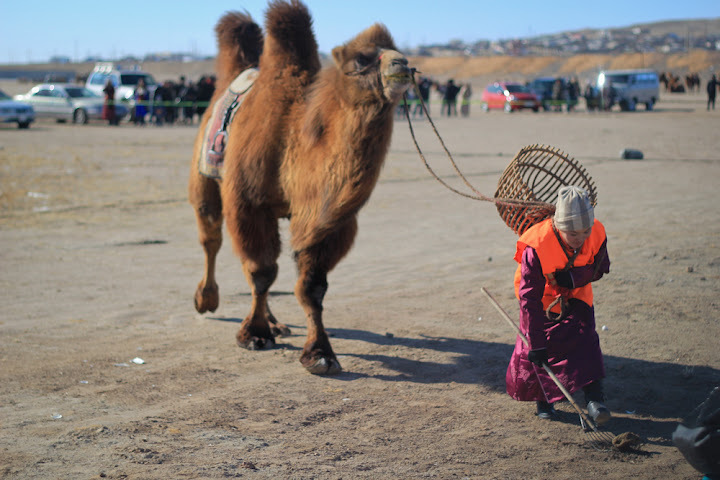 I loved the Camel Dung relay! Thanks for sharing. 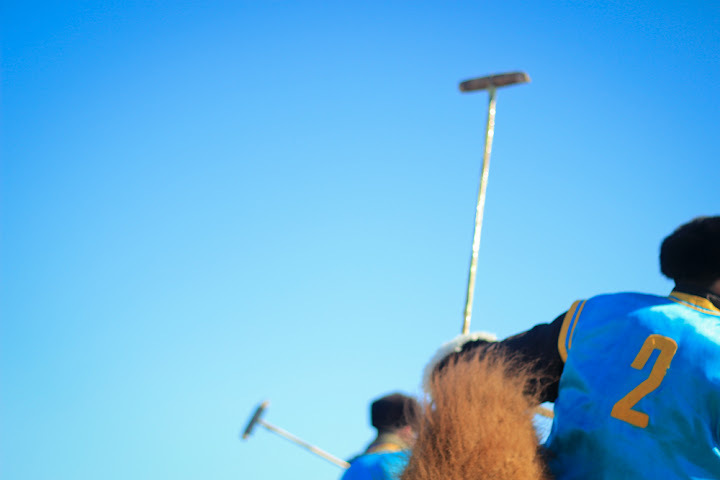 Camel polo to be a full Olympic sport for Rio 2016 please! What an amazing trip! Excellent photographs! Great series of shots. Thanks for posting. Wow, I love these photos! 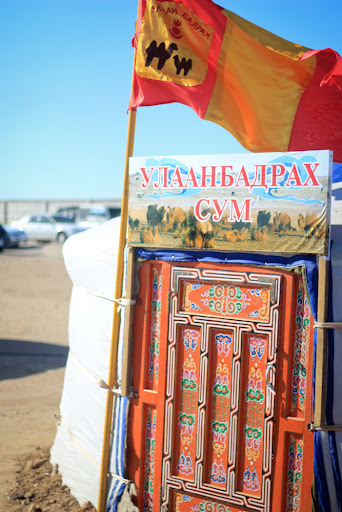 I really miss Mongolia, what a great country! I love camels. My favorite camel moment is when Arnold Schwarzenegger punches one for spitting on him in one of the Conan movies (can’t remember if it was the good movie or the really, really, really bad one). Great Blog! Loved the pics. I have never seen a Camel with such long hair. They look like a Camel Llama mix. Congrats for the video and the photos. They are very nice! Thanks for educating me about an unfamiliar event! I’ve only been to Mongolia once. It was on my list of “must see places”. I would love to go back one day. I am very excited to have found your blog. Cheers! Saw this: http://www.nytimes.com/2012/05/09/sports/motorized-polo-gains-a-foothold-in-east-africa.html and I think the NYTimes should also consider putting your video on Camel Polo on the front of their site!